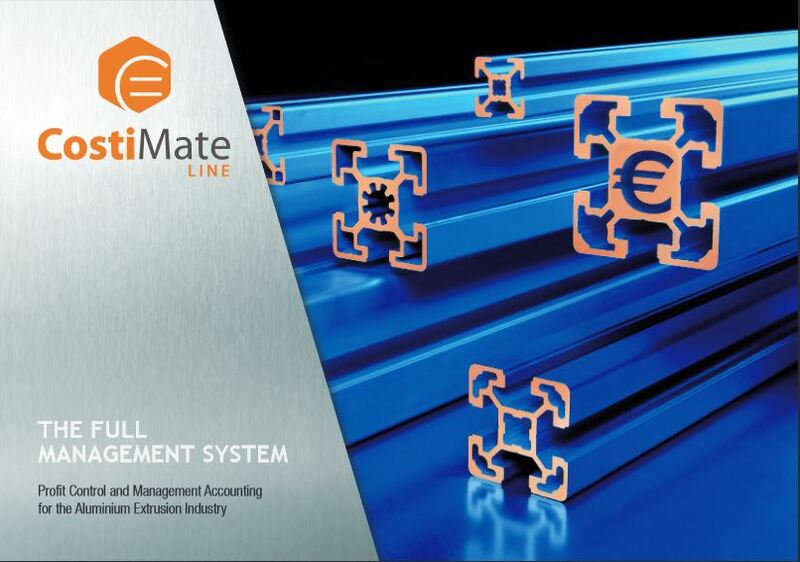 CostiMate is the full management system for the aluminium extrusion industry. 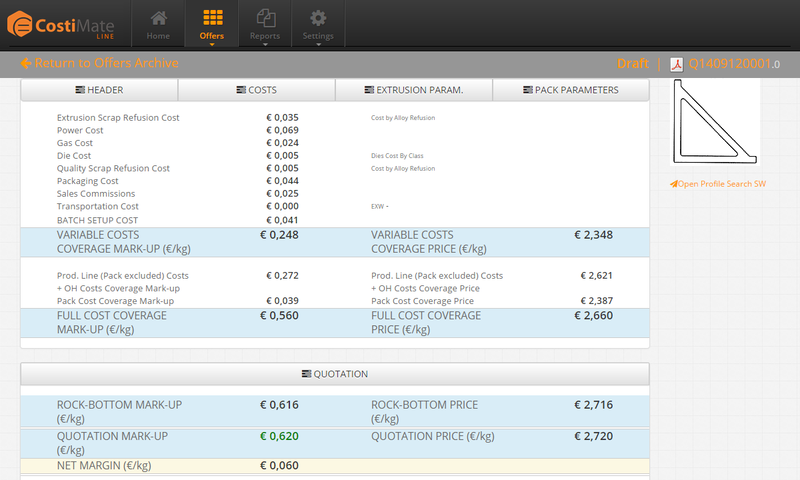 Standard costs of each product (existing and new) with details for various cost items, based on production parameters or on statistical estimation for different profile types..
Issue an offer directly from the ‘Standard costs calculation’ panel. 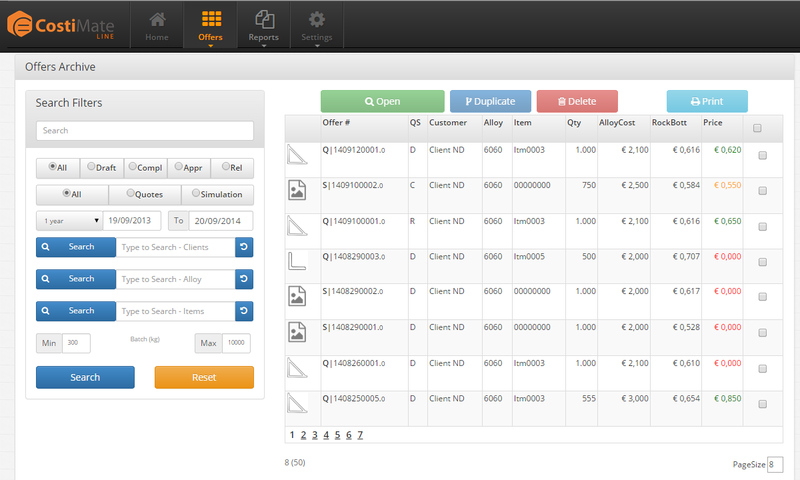 Manage new profile offers complete with the die agreement. 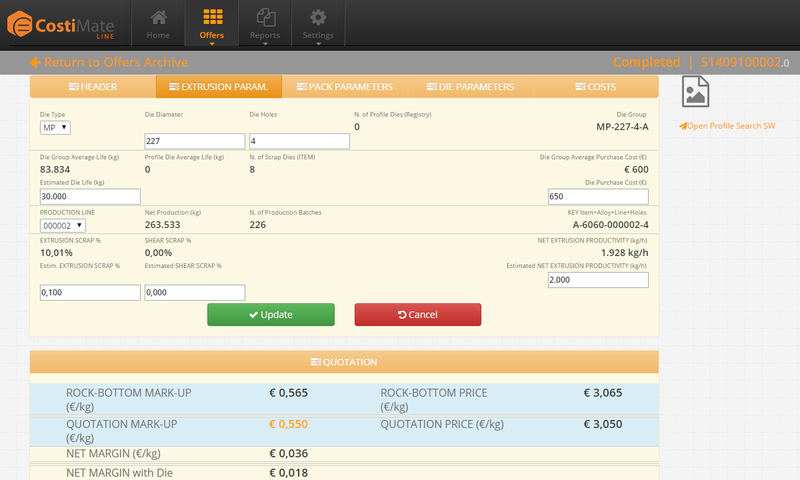 Manage the “Release workflow” of each offer (drafts, approvals, revisions) and the “Quotation Database” for existing and new products (search, duplicate, delete, print). 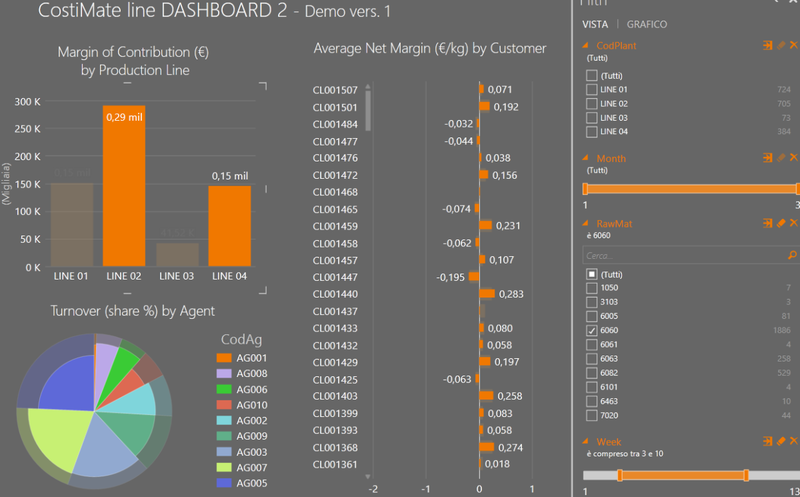 Thanks to selling prices and profile costs data, access to the “Business intelligence dynamic reports” to control profit in any area: customer, agent, production line, item group, alloy, time trends, etc. Click here to go to Costimate website!